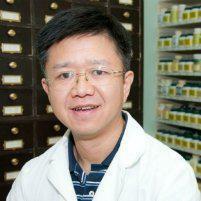 Dr. Zhou is an herbalist and acupuncturist in Austin, Texas. He treats patients who suffer from eczema with Chinese Herbal Medicine and acupuncture. Scroll down to read more. Dr. Zhou treats not only the symptoms of eczema but also the underlying causes of the uncomfortable skin rash. Traditional Chinese Medicine cares for a person holistically and treats the root causes of physical symptoms. How Can Acupuncture Help With Eczema? Acupuncture can not only work by affecting the nerves affected by the itching and pain of eczema but is also known as a way to rebalance the qi and reduce stress, improving a person’s overall well-being. Holistic treatments aim to improve and maintain a person’s overall health and wellbeing, increase the ability to handle stress, improve digestion, and speed recovery from illness. How Can Traditional Chinese Medicine help with eczema? Western medicine considers eczema to be a response from an unbalanced immune system. However, Western medicine treats the symptoms instead of the cause. Chinese herbal medicine offers holistic treatment which improves the patient's overall wellbeing as well as the symptoms of eczema. A study on Traditional Chinese Medicine completed between 2006 and 2008 showed that a combination of teas, herbal baths, and topical treatments reduced symptoms in the participants with over half reporting improvements in overall health and wellbeing. They also reported lower use of common western treatments including steroids, antibiotics, and antihistamines. This in itself can improve the overall well-being by avoiding the side effects associated with these treatments.